This is my favorite photo of my favorite pup. 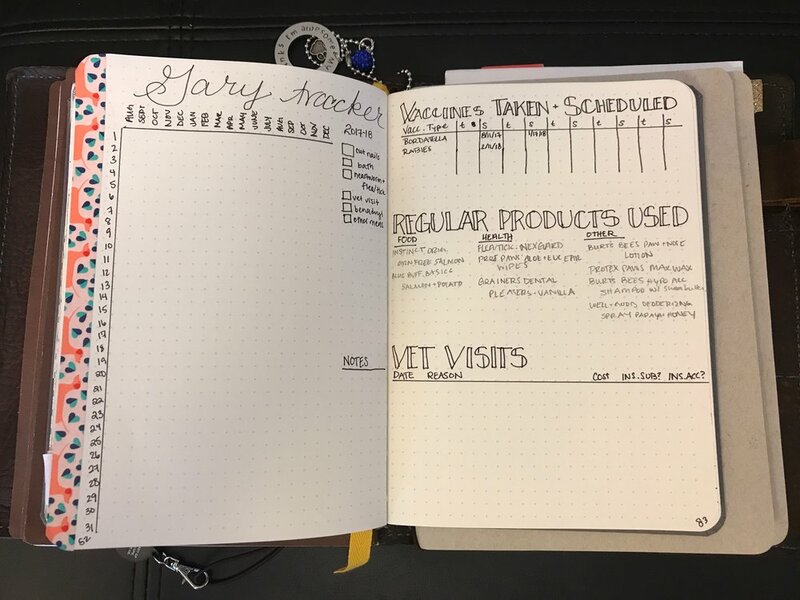 One of the first things I wanted to do when I started thinking about what I needed to track in my bullet journal was find a good tracker for all of Gary's information. From vet visits to shots and prevention care, I was overwhelmed with everything a new dog mom needs to take care of. After searching for a good set up online for a long time, I finally just decided to make my own. I hope other dog parents find it helpful. This tracker has already been super helpful at a vet visit where he was vomiting. I could tell them quickly all the information of the products we use. I highly recommend having a tracker for your pet information!